Expectations act as one of the important aspects of life and business. I recently had a conversation with Gary Vaynerchuck, Chairman of VaynerX and CEO of VaynerMedia at www.chainxchange.com and he proposed that choice is essential to happiness. I offered the idea that choice should be coupled with expectations. Expectations shape our life and business. A fundamentally overlooked imperative in business is setting appropriate expectations. Expectations shape our lens with how we will view a situation, job, partnership, investment, etc. Misaligned expectations create the propensity for disappointment and lost profit. While corporate training has increased over the decades, rarely are expectations at the forefront of the curriculum. This is surprising since inappropriate expectations have the ability to derail many facets of business. This article will briefly cover how expectations impact a business, culture, sales, partnerships, and life. We will cover each of these topics individually and then provide a wrap up at the end. Businesses are shaped by expectations. What is leadership’s expectation for the company today and tomorrow? What expectations does a boss have? What is expected out of an employee? How is the company expected to operate? What profit margin does the company expect? How are departments expected to communicate internally? What type of clients are expected? What is the service level expectation? While there is more, this will provide clarity on the fact that businesses are built on expectations. Failure in either of these two areas will create less than desirable results coupled with a poor company culture. Culture is built upon expectations. Culture change has become an increasingly hot topic. Culture may be defined as the excepted norm in which a company conducts itself and/or behaves. Technology can shape culture. HR can shape culture. Market focus can shape culture. However, I would argue that the biggest facet of shaping culture is expectations. What is expected from a workforce will shape how they conduct themselves on a daily basis. If a company has a market culture, growth is the expectation. If a company has an adhocracy culture, innovation is at the forefront of expectations. If a company has a hierarchy culture, control is the expectation that is conveyed. If a company has a clan culture, loyalty and teamwork are the expectations put forth. While organizations generally have a macro culture and sub-cultures within it, a meaningful exercise may be to review what expectations are being set at each level. Then contrast how these expectations are stimulating the varying cultures within the company. Often, in smaller companies, the ownership sets the culture through setting the expectations. While expectations alone do not create a culture, they most certainly influence how the culture is shaped and changed. Sales expectations are often the most obvious to spot. When the business development teams set inappropriate expectations to make a sale, there will be fall out post close. Sales has the unique privilege of setting appropriate expectations with new clientele. I deem this a privilege because the sales professional, through appropriate expectations, can set up the company and its operations team for success by how the deal is communicated externally and internally. Most sales professionals are driven by how much they can sell. In other words, it is a common pitfall for a sales person to overstate the company’s ability to make a sale. While it may appear as a short-term financial gain, it is a long-term loss, both in profit and brand equity. Once a professional has run a business, they know how to say no. Saying no to what a company cannot do and yes to what the company can do gives credibility to the yes. A buyer wants to know what they are buying. False expectations give sales professionals a poor reputation and create cynical buyers. Unfortunately, this is one of the most blundered processes with startups. Often, business partnerships with a startup begin with pre-existing relationships. There is a certain level of trust that has been established prior to the formulation of the business partnership. Sadly, when there exist misaligned expectations, that trust erodes quickly. Either one partner isn’t perceived as carrying their weight or another partner is making decisions that aren’t in alignment, or financial spending isn’t agreed upon, etc. The list is long of how misaligned expectations can derail a company. I have a motto. Hope for the best and contract for the worst. This isn’t because I am untrusting. In fact, with me, it is the opposite. I am overly trusting. Therefore, through experience, I have learned to contract expectations. This removes the ambiguity of the relationship and define the expectations of both parties. Can you contract for everything? Of course not. However, you can communicate expectations clearly, prior to partnering, and as the team progresses in business. Communicating expectations will help avoid potential issues that could be harmful to the business and the relationship. The final thought on partnerships is that the partners start with a partnership dissolution agreement prior to starting the business. This will define expectations in the case of a business divorce. While this is a business article, I would be remiss if I didn’t touch on life expectations. Our lives are shaped by expectations. Our expectation of how should be loved, how our kids should behave, expectations with status, how a marriage should work, how should a family function, etc. This list is long. Many of us go into adulthood with preconceived notions and expectations, of which, we may not be fully cognizant. These expectations are often shaped by our upbringing, life experiences, and desired future. 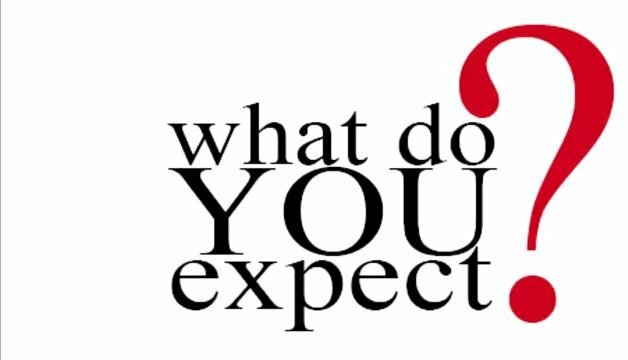 I am not going to take a deep dive into the psychology of how expectations shape our lives, but rather simply suggest being cognizant of our expectations. If one’s personal expectations are appropriately aligned, communicated with their loved ones, AND the person understands their loved one’s expectations as well, my guess is that person is the better for it (as are their loved ones). The challenge is to reflect on areas which are causing discomfort in life and reviewing the associated expectations. This doesn’t mean sink your expectations to the floor in an effort to achieve contentment. Rather, review all areas of discomfort. I would anticipate that many of these areas may be, at least influenced, by expectations. Discomfort shapes character. A life without discomfort may lack the building blocks of a healthy character. However, many discomforts may be self-inflicted as a result of improper expectations. These discomforts do not shape character but instead may promote an unhealthy balance in life. There are four takeaways from this article. Many expectations are not finite. They may be fluid and change over time as a business or person matures. Some expectations are finite. This may take form in one’s beliefs. Ultimately, if a person and business is cognizant of its expectations, and communicates these effectively, it may avoid unnecessary issues. 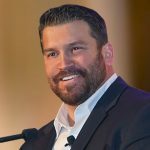 Author: Rob Comeau is the CEO of Business Resource Center, Inc. and the featured author for www.netprofitgrowth.com. Comeau is an expert in business efficiency, growth strategy, M&A, and turnaround scenarios.